As the weather warms it is a great time to spring clean your garage, it gives you a chance to inspect for any damage caused during the winter months and a chance to tidy and clean your garage in preparation for the summer just around the corner. Cleaning out your garage is for me, a sign for tidying up from the winter months and putting away the winter items including the snow shovel, for some this winter a much-used item. 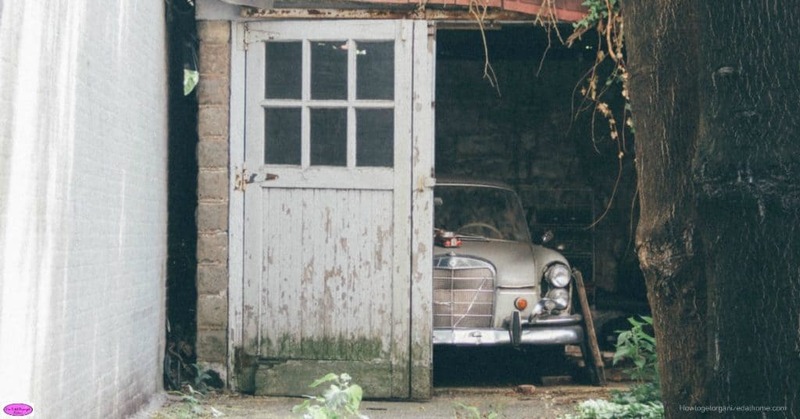 Check the structure of your garage to ensure there has been no damage over the winter, which you will need to sort, now the weather has improved, like a leaky roof or a broken window. Check for vermin, or insect infestation. If you find any then it is important to take the appropriate action, depending on the infestation you find and how you want to deal with it; don’t forget it is important to treat these within your local law. Check paint condition, such as on windows and doors, if they need work then schedule this into your diary for some point during the summer. Brush and wash down the windows and doors to remove any debris so you can get a clearer picture of the items in question. Clean the gutter and check for visible signs of any external damage that might need fixing. Remove all the rubbish from your garage, throw it away or recycle it. Use a brush to get all the cobwebs, remembering to include brushing into the corners and sweep the debris into a pile and throw away. As you brush down the different areas, check the floor condition, to see if there is any damage. Check for items that have gone off, like paint or cement. If you have a tap in your garage, ensure that it is in full working order ready for the summer and not have any leaks from the cold winter months. Sometimes it is just wear and tear of the product and might just need replacing. The spring is a great time for sorting out your tools, not only is it a good idea to clean and oil any items ready for the summer time use, it is a great idea to sharpen all your tools too. This will make them fit for purpose and not more dangerous. Blunt tools are more dangerous than sharp ones, as you have to use more force to use them and this can cause injury to yourself. Everyone will have different tasks they will need to do and this is why it is important to create your own list so you can mark off the tasks as you complete each one. Creating a list will allow you to work out what you need to do during the year because you will make a note of any building repair work that needs completing. What is your best tip to spring clean your garage? Therefore, having a garage that you clean out regularly will ensure that you are maintaining it properly and making repairs which might be required. This is beneficial to your finances; maintenance is cheaper than having to deal with emergency repairs, where the cost of getting someone out to repair an item because of poor maintenance will cost more due to the urgency in the repair. If you are looking for more articles on this topic head over to the landing page where you will find links to other articles on cleaning. I wrote an article that I think you will enjoy, 11 Car cleaning Tips You Need To Know.